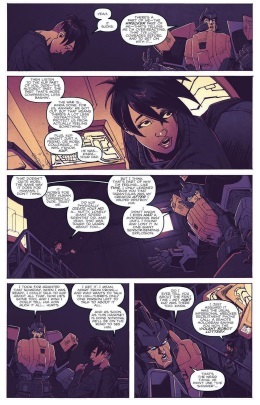 We pick up where the Sins of the Wreckers story ended with Verity Carlo and Springer going off the grid; only having knowledge of outside events from the Cybertronian communications array left by Prowl. It is through The Array that they learn of Kup’s death (see Transformers vs Visionaries) which is the catalyst for the flashback of how Springer became a Wrecker through Kup’s guidance and Impactor’s suggestion. Springer, in the present, is struggling to cope with the fact that he was a creation/experiment of Tarantulas, and following the news of Kup, goes to find his only past connection, Impactor. After many hours, Verity and Springer pull into a gas station for a pit stop, when a bulldozer(Steamhammer) plows into Springer sending him into the town square interrupting a Megan Guiglione rally. The robot-hating Megan is shot by Springer revealing that he is under Carnivac’s control. However, the human is not dead and grows and transforms to reveal her true form as Overlord. Verity takes a shot at Overlord and is then captured and flown to a dormant volcano where we find a still living Tarantulas. Verity learns of Tarantulas recent experiments such as the real human Powermaster project and the Timemaze, which allows time and alternate reality travel and also creates divergent timelines. He plans on sending Overlord back to various points to fix history. Springer awakens in a CR chamber and breaks his way out taking Impactor to the ground. After some arguments between Impactor, Carnivac, and Springer, Springer leaves to find Verity. Springer arrives with Impactor, and Tarantulas tells him that he didn’t leave him and is immediately shot in the head by Overlord. Verity tries to open the Timemaze and Springer and Impactor eventually blow Overlord into two separate timelines. Springer decides to use the TimeMaze to go back and establish the Wreckers the right way. 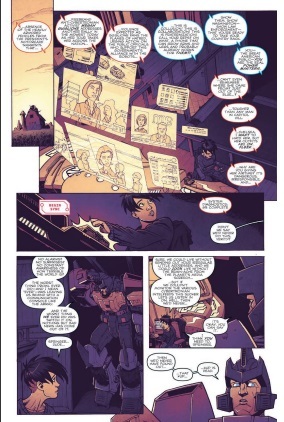 This annual is a love letter to the whole IDW continuity and the art reflects this sentiment. The present day is done in the current house style while flashbacks are done in the G1 Marvel style like in Optimus Prime. Also, in the flashbacks, Kup is drawn like his spotlight issue from phase 1. 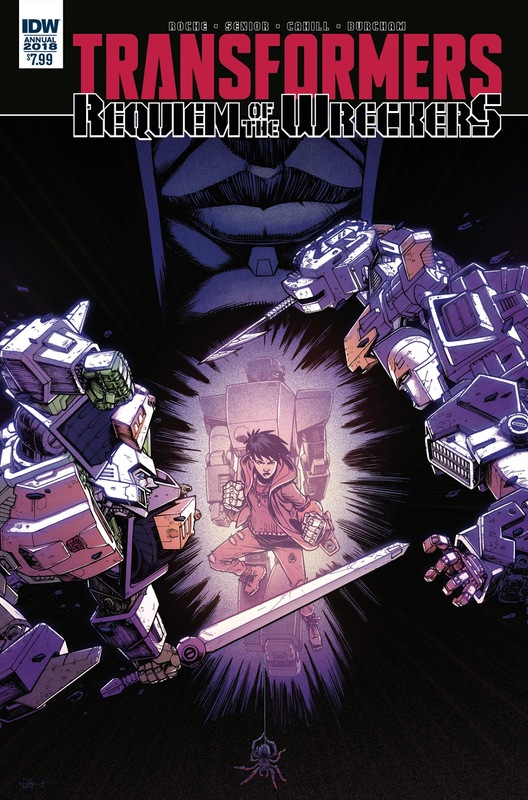 Requiem for the Wreckers is an excellent conclusion to the Wreckers Saga and a love letter to the whole series as it is about to end. I enjoyed Springer’s acceptance of the loss of Kup, his mentor and father figure, and acceptance of his creator/father Tarantulas. I really liked that Tarantulas is portrayed as caring for Springer instead of just being a mad scientist. The mass shifting human Powermaster/Pretender was cool and a final evolution of the headmaster storyline that began in the “-ation” series. This book is dense on story, so you might need multiple readings to understand what is happening. If you have been reading IDW Transformers since the beginning, this issue has plenty of callbacks and conclusions for several characters. As a standalone issue, there is a good story and great moments that a newbie could enjoy. This could have been the last issue of Transformers and I would have been satisfied. I was really satisfied with this book wrapping up one of my all time favourite comic series the Wreckers Saga. Glad to hear you enjoyed it too!